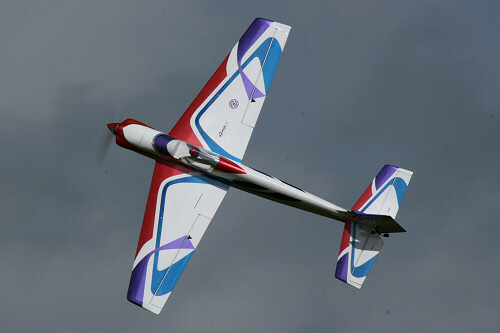 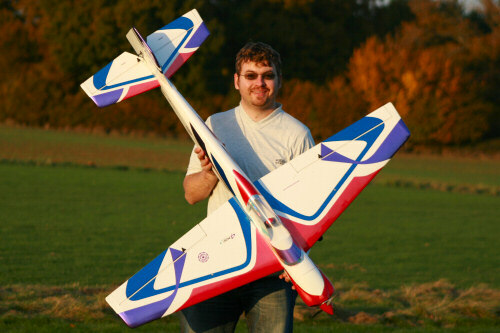 The happy owner after his test flight. 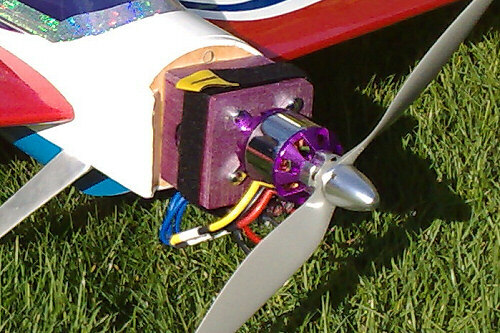 The motor selected had a higher kv rating so a smaller prop could be used at higher RPM so there wouldn't be any ground clearance problems. 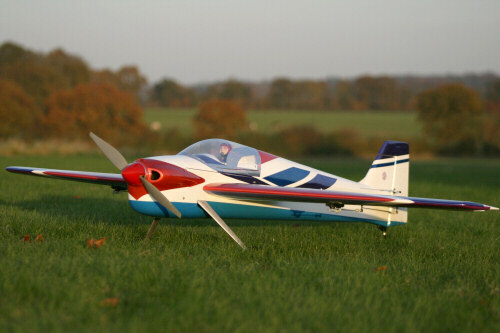 It has limitless vertical performance but most of the flight is done on ½ to ¾ throttle, with all items being barely warm on landing.